The snow has all melted, the days are getting longer, woodland flowers are starting to bloom – it’s finally spring! As we emerge from our winter cocoons and shed our winter coats, we seek the sun and start to spend more time outdoors. Spring is a perfect time to appreciate nature, as we observe the earth reawakening. We feast our senses as we smell the floral perfume of blossoms, awaken in the morning to melodic bird songs, and look up to March’s bare branches bedecked with bright greens and pale pinks. 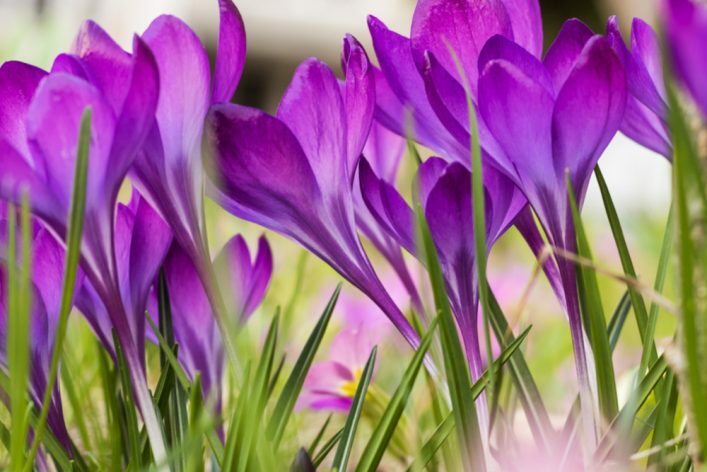 As we experience the healing sensations of spring, we can meditate on our connection to nature. Nature is not just there for us to look at or to use, to pluck and make into a bouquet. Nature is our home. We live in nature, and we are nature. Everything we eat, all of the objects and products we utilize on a daily basis are derived from the earth. Many of us have lost touch with our relationship to earth, to our own detriment. For those of us living in the city or the suburbs, where there are fewer trees and manicured lawns, it’s not difficult to forget all about the vast expanse of nature that surrounds and sustains us. But it’s imperative that we remember our innate connection to the nature around us. When we disconnect from nature, we disconnect from ourselves. When we take from nature without giving back, we are not honoring the sacred balance that sustains the world. As we elevate our consciousness and begin to understand that we are not separate from nature, we can explore tangible ways to understand, listen to, and connect with the earth. The classic Earth Day practice of planting a tree will never go out of style. Besides being beautiful to look at, trees provide amazing benefits to countless creatures, including humans! According to the EPA, 20% of landfill waste is food. Think food decomposes in the landfill? Think again. Trash is typically too tightly compacted to allow in oxygen or hungry microorganisms to facilitate decomposition. But there’s good news! With the help of nature, you can turn your own food scraps into rich, gorgeous soil. Home composting is easy to set up. Check out some of the simplest methods on the EPA’s website. Don’t have time to plant a tree or set up a compost bin? There’s nothing wrong with using cash for good. Consider making a one-time Earth Day or monthly donation to an organization that works to preserve and protect the environment. There are literally thousands of nonprofits working 24/7 on topics as diverse as influencing policy, educating the public, improving corporate practices, protecting endangered species, cleaning up ocean plastic, and so much more. Start by writing down a few aspects of environmental protection you feel most passionate about, and find an organization that resonates with your concerns. Here’s a list to get you started. From electricity to oil and gas, our homes are a major source of energy use. Cut down your carbon footprint with a home energy audit, a professional service that can tell you how you can improve energy usage in your home. For example, your old windows may be letting in extra cold air in the winter, resulting in higher heating usage (and costs!). Many energy service providers actually offer a free home energy audit. Also, check with your local utility company to see if they offer environmentally friendly utility options. You may be able to select a greener utility service. “Zero waste” is a philosophy that essentially says that all products should be reused. The ultimate goal is for landfills to become obsolete. Adherents of zero waste attempt to product no new trash and purchase as little new stuff as possible. In this day and age of throwaway coffee cups (people throw away over 8 million Starbucks cups per day), it can feel daunting to convert to an entirely zero-waste lifestyle. But anything counts. If you don’t have one already, purchase a reusable water bottle and coffee container. If you always forget your reusable bags when you go to the grocery store, try leaving some in the car. Instead of running to fast fashion outlets, shop at thrift stores or for handmade, fair trade items. Check out these zero waste Instagram influencers for some great tips and beautiful visuals of farmer’s market produce. The Economist and Forbes have declared 2019 to be the year of the vegan. Whereas for decades veganism, and even vegetarianism have been considered fringe movements within society, 25% of 25-34 year old Americans now self-identify as vegan or vegetarian. 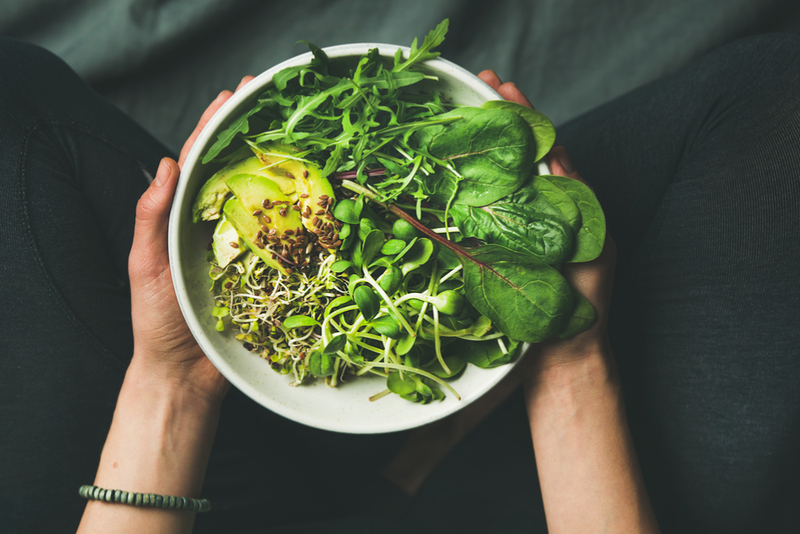 People have different reasons for adopting plant-based diets, but one predominant motivation is environmental. Meat and dairy account for 14.5% of all man-made greenhouse gas emissions, which is roughly equivalent to the exhaust emissions of every car, train, ship and aircraft on the planet. Shocked? Take your dismay and channel it into a one-day exploration of vegetarianism or veganism. If you survive (or even enjoy) your foray into the plant-based, consider adopting Meatless Mondays. Find some exceptionally delicious and decadent vegetarian recipes at 101 Cookbooks. Do you question how much of an impact you as an individual have on protecting the environment? Don’t forget that we as citizens are tasked with holding our elected officials accountable. Exercise your right to impact public policy. Let your representatives (local, state, and federal) know that you care deeply about the environment and want public policy to protect the earth. Visit the Citizens Climate Lobby to find out who your reps are and view a sample script of what to tell them. Encourage your kids, friends, and coworkers to write in also. Faced with depressing headlines about global warming and apocalyptic films where we’re forced to move to Mars, it’s easy to feel helpless and even cynical about our personal ability to make change. Figuring out our individual contribution to environmental protection can feel overwhelming. Spending time with our communities on Earth Day can help bring us together and make us feel more impactful. Search your region for Earth Day events and head out to meet some new people. Or if you have an idea for an activity or event, create it! Invite your Facebook friends, coworkers, and family to join you. Collect trash together in a local park, set up a community garden or compost, or make a trip to a nearby farm to learn about local agriculture. Life’s biggest difficulties are always easier to tackle with people who care. When we lose touch with nature, we may start to think of “the environment” as an abstract unfamiliar place. Getting yourself outdoors is the most effective way to reconnect with the simple, lush magic of the natural world. Take a walk in the woods, find a meadow to lay in, or paddle a canoe at a local lake. Allow yourself to fully relax and take in your surroundings. If you have a meditation or yoga practice, consider sitting in stillness or doing some asanas outside. Observe what you hear, smell, feel, and even taste. Channel your inner toddler and spend a few minutes following the ants and observing the butterflies. When we create space in our busy lives to be present with nature, we can experience the most profound wonder and deepest relaxation. Happy Earth Day from our team here at Evolutions!